Stories are no longer told, delivered or consumed in a linear way. Being able to customise experiences has become a primary ask by an audience that lives in a networked world. Instead of passively consuming content, the audience takes on the role of an active player. fragmented narratives can adapt to user behaviour and render more meaningful stories or even prompt real life impact. But what are the building blocks needed to orchestrate such complex non-linear stories that even unfold in real time? 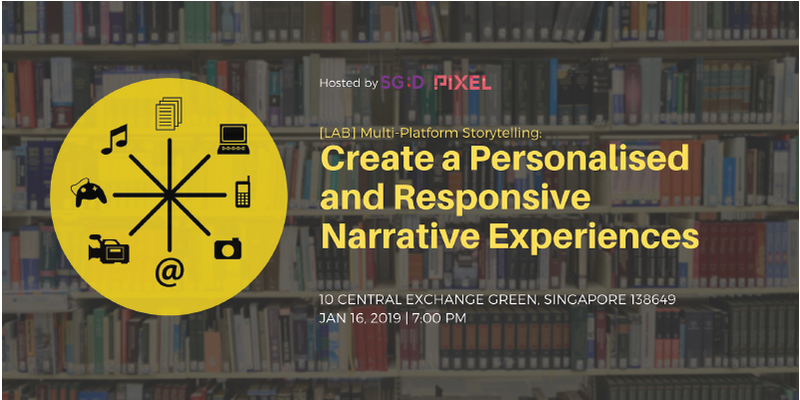 In this hands-on workshop, we will explore the mixed-reality platform Conducttr, a narrative design engine that delivers immersive stories and games across multiple channels. By blending digital and physical worlds, complex interactive experiences can be created. Robert Pratten, the creator of Conductrr, will provide an introduction to the platform and its functionality. Participants are able to test out sample scenarios but can also build their very own digital story journeys. Feel free to bring your own notebook. The software is free to download and you can add your own content into the experience. Wifi access will be provided. We will also offer a limited number of computer workstations for participants to use. Prior to TSL, Robert wrote, directed and produced two award-winning feature films and before that worked as marketing consultant in the telecommunications industry. Marco has worked on numerous new media pioneer projects across Hong Kong, Germany and the UK over a period of 12 years. He is one of the leading transmedia evangelists in Asia. From 2014 to 2018 he was the Audience Development Lead at Mediacorp, driving the organization’s social media strategy as well as business transformation in digital content.